The Chug Dog combines the Pug and Chihuahua. An undocumented history makes the original breeder and place of origin a mystery. We do know that the Chug was developed in the 2000s and it’s gaining popularity in the United States. 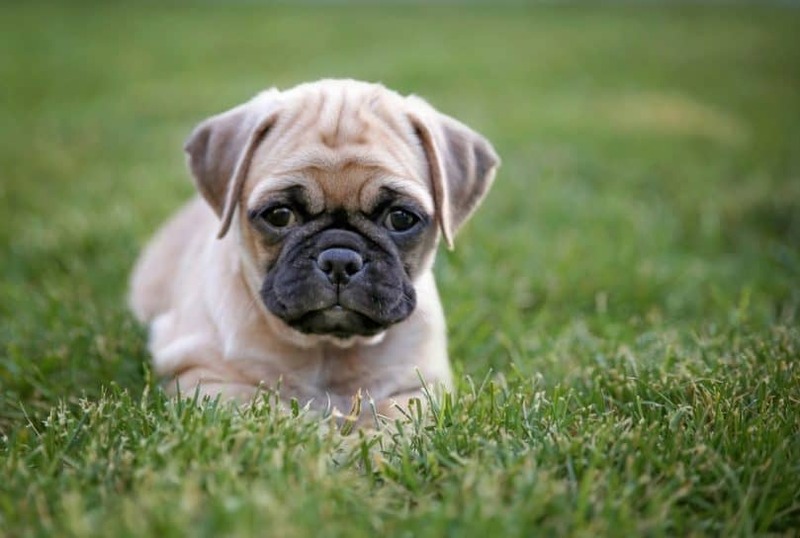 Also known as the Pughuahua or Pugwawa, this toy breed isn’t influenced by poodle ancestry, like most small hybrids. I think this makes them unique so I’m excited to share more about the Chihuahua Pug Mix. Since it is a crossbreed, the features from one Chug to the other can vary. Some look more like the Pug and others, like the Chihuahua. Generally, the Chug is a petite, sturdy, muscular dog. Their face is rounded, with brown eyes which protrude into a large, almond shape. The nose is short, round, and dark, which may be pushed in, looking similar to the miniature boxer. The ears may slightly flop down like the Pug, or be medium in length, folding at the peak, like the Chihuahua. These features make them adorable and comical. They trot around all cute and bouncy displaying confidence and joy. The Pughuahua’s coat may be short, dense, and coarse, like a Pug. It can also be medium in length and silky like that of the Chihuahua. If bred from a long-haired Chihuahua, your Chug may have a medium – long coat. These dogs are not hypoallergenic. Generally, you can expect your Chihuahua Pug Mix to be 6 to 14 inches (15 cm – 35 cm) when full grown; with the average being 12 inches (30 cm). Your long-term companion will have 10 – 13 years lifespan and will weigh between 10 to 20 pounds (4.5-9 kg). The temperament of your Chug can be much like flipping a coin. Being a mixed breed, there is a 50-50 chance he will have traits from either parent. He may take after his somewhat suspicious, and imperious Chihuahua parent. Or he may be like his sweetly comic Pug parent. The perfect Chug combines the loving personality of the Pug with the obedience of the Chihuahua. Bad personalities to look out for include the snippy, yappy side of the Chihuahua and the stubbornness of the Pug. Commonly Chihuahua Pugs are affectionate, social, fun-loving, playful, energetic, outgoing, loyal dogs. They’re smart and learn quickly, but can also be stubborn, and have a short attention span. A well-behaved Chug can make a great therapy dog visiting nursing homes, hospitals, and rehabilitation centers. Though not aggressive, they can be wary of strangers until they get to know the visitor. Both small breed parents of the Chug tend to overestimate their physical power and think that they’re stronger than they are. So make sure your mix is trained and socialized to avoid unwanted confrontation which could be with a large dog. Chugs are companion dogs who love their humans, as well as other pets. Families with children, singles, and seniors should be prepared to give them lots of attention. Children should know how to handle them carefully. The Chug is good for all homes, apartments, and suitable for limited spaces. They need to live indoors, never outside since wiggling out of a fence won’t be very difficult. They prefer warm weather. If it is cold when going out for a walk, be sure to bundle up your Pugwawa. You should expect moderate to heavy shedding. If your little one has a long coat, you will see more. 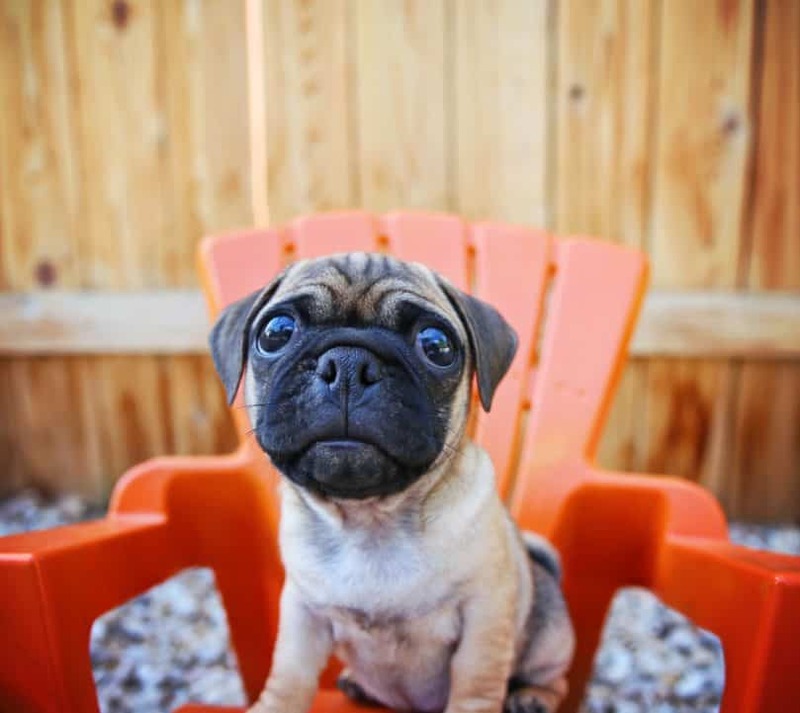 Brush your Chug’s coat 1-2 times a day to get rid of any dead hair and to keep their fur smooth and shiny. At a minimum, you should do this once a week. Keep a pin brush and slicker brush handy. The folds in your Chugs wrinkly face must be kept clean and dry. This will eliminate bacteria build up, odor, and irritation. Check these areas daily for moisture. If present, gently pat with a soft, moist towel. Then dry it with a fresh rag. Teeth should be cleaned several times a week to help prevent decay and gum disease. We’ll talk a bit more about this later on. Depending on his activity level, he’s likely to trim down his nails naturally. If not, they’ll need clipping. Check them every other week and cut as needed. 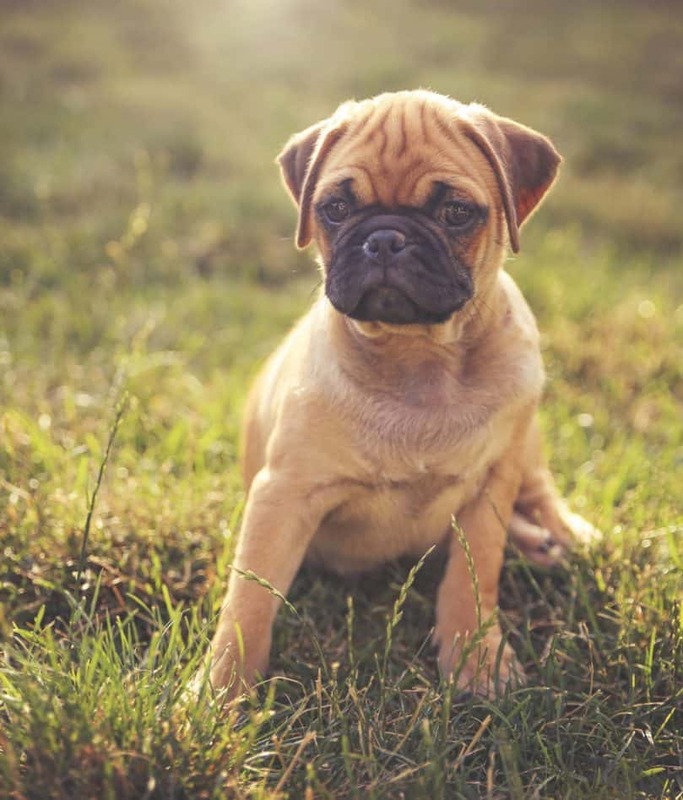 Pug parents can pass down the respiratory difficulties that come with a brachycephalic facial structure. Overheating can cause stroke, so take measures to protect your Chihuahua Pug mix in extreme temperatures. Flat faced dogs have tiny mouths which don’t leave a lot of room for their teeth. Crooked and overlapped teeth are common which accumulate a lot of tartar buildup. If not removed, this leads to gum disease. The best way to prevent this is through proper, regular brushing techniques as mentioned before. Visiting the vet for regular cleanings may also be necessary. Pugs tend to overeat so this may also be true for you Chug. You should keep this under control by not overfeeding. Excess weight can make some health problems worse. Your Chihuahua-Pug should be fed a diet specifically created for small breeds of dogs, which are high-energy. Meat should be the prime ingredient. They only require one cup of food per day. Feeding hard kibble, rather than soft, will help keep tartar from building up on their teeth. Due to their independent and sometimes stubborn attitudes, Chugs require an experienced dog trainer. They need consistent leadership and guidance with a firm, but gentle hand. Your Chug may be easy to train and learn quickly. However, it can be hard for them to focus for long periods of time so you should keep training sessions short and fun. 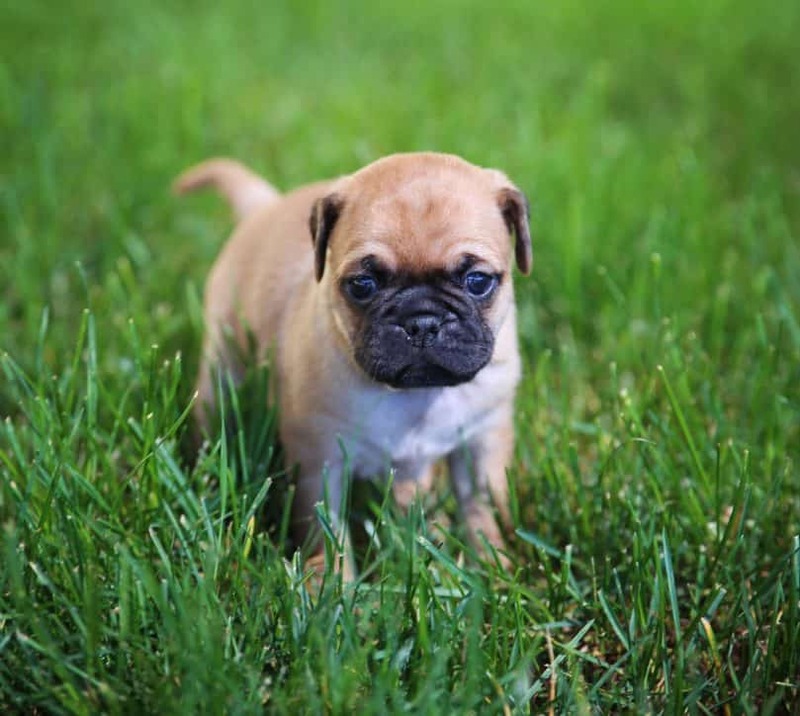 Training can start as early as eight weeks, so your Chug doesn’t become stubborn or willful. Chugs have a low to moderate activity level that is adaptable to their owner’s lifestyle. If there’s a lot of chihuahua in him, he’ll likely be more energetic and have higher needs for playtime to keep him occupied. One walk a day should keep your Chug happy. It doesn’t even have to be very long, as they get tired pretty fast. A total of 5 miles per week is ideal. Remember, due to your Chug’s pushed-in face, they’re at a higher risk of developing breathing problems from strenuous exercise. Playing with them can also be kept to a 30 – 45 minutes activity 1 – 3 times a day. Providing toys will help to keep themselves busy and mentally stimulated on their own. 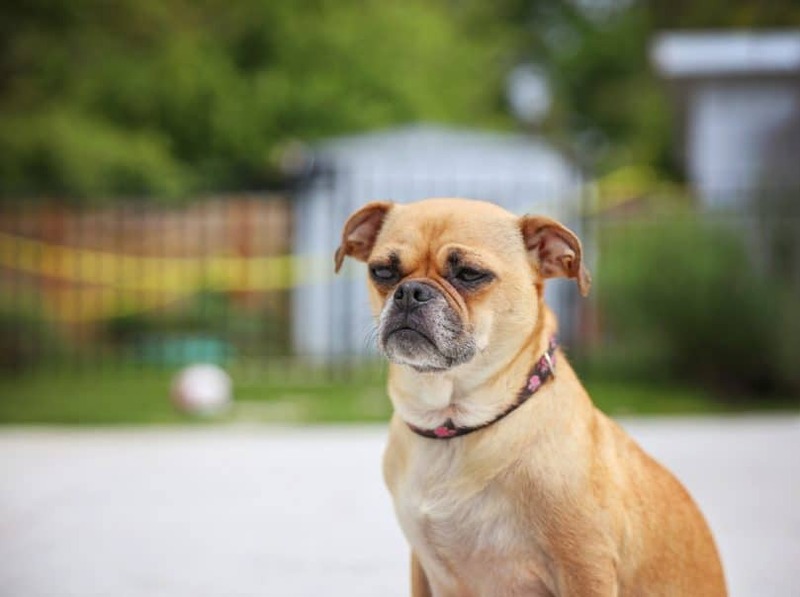 Behavioral problems like Small Dog Syndrome can develop if your Chug becomes bored and doesn’t get enough exercise. Chugs can participate in dog sports such as obedience and rally, but should first be cleared by a veterinarian. Chugs are available all over the United States. If you are in Pennsylvania, Michigan, Florida, Texas, Ohio, Oregon, and Indiana, there is a Chihuahua Pug mix waiting for you. You can check out this website for some listings. They’re available from breeders and rescues. You should expect to pay anywhere from $350 – $500 for a Chug dog. The AKC does not accept hybrids into their standard registry. As with any mixed breed, it’s hard to predict how they’ll look and what their temperament will be. Personally, I like to know these things about my pets. If you’re simply after a small dog that will be friendly and loyal, then the Chug may be right for you! What do you think about the Chihuahua-Pug? Let us know by sharing your comment below.